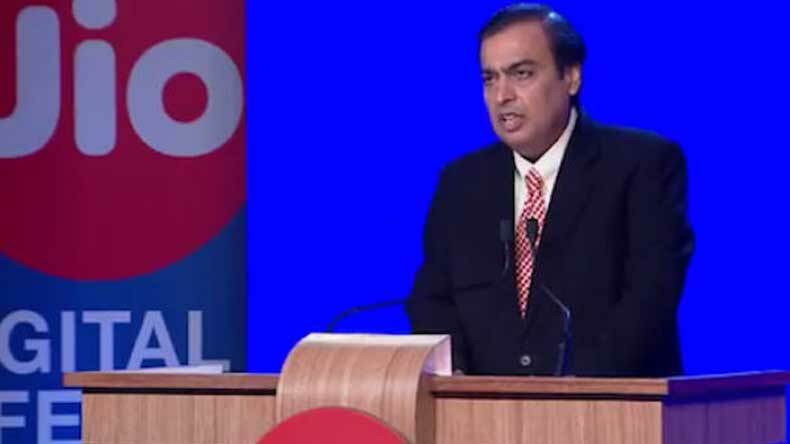 Reliance Industries may sell Jio infra assets to Canada-based Brookfield Asset Management to reduce debt: The RIL, which is reeling under a debt burden of Rs 3 lakh crore, is likely to sell Jio's infra assets valued anywhere between 12-15 billion dollar to the Canada based private equity giant. File photo of ReienceIndustries Chairman Mukesh Ambani. Reliance Industries may sell Jio infra assets to Canada-based Brookfield Asset Management to reduce debt: The Mukesh Ambani owned Reliance Industries Limited (RIL) may sell Reliance Jio’s telecom towers and fibre assets valued at over Rs 1.07 lakh crore to Brookfield Asset Management to reduce debt burden, reports said on Friday. If reports are to be believed, the RIL is reeling under a debt burden of Rs 3 lakh crore currently. Jio’s infra assets could be valued anywhere between 12-15 billion dollar. If the deal is inked, the Canada based private equity giant will own 2,2 lakh mobile network towers valued at Rs 1.07 lakh crore. Apart from that, Brookfield will also own around 3 lakh route kilometre of optic fibre network that serves a subscriber base of approximately 300 million. In 2018, the 330 billion dollar assets managaement firm had purchased the Mukesh Ambani owned 1,400-km-long East West Pipeline for 2 billion dollar. The East West Pipeline connects Kakinada in Andhra Pradesh to Bharuch in Gujarat.